Blue Gadsby’s twin sister, Iris, died three years ago and her family has never been the same. Her histrionic older sister, Flora, changes her hair color daily; her younger siblings, Jasmine and Twig, are completely obsessed with their pet rats; and both of her parents spend weeks away from home–and each other. Enter Zoran the Bosnian male au pair and Joss the troublemaking boy next door, and life for the Gadsby family takes a turn for the even more chaotic. Blue poignantly captures her family’s trials and tribulations from fragmented to fully dysfunctional to ultimately reunited, in a sequence of film transcripts and diary entries that will make you cry, laugh, and give thanks for the gift of families. With the charm of The Penderwicks and the poignancy of When You Reach Me, Natasha Farrant’s After Iris is a story that will stay with readers long after the last page. My impression: Considering that this story is, in part, about Blue dealing with the death of her twin sister, Iris, this is not a maudlin tale. I laughed out loud more than once and was charmed countless times by Blue’s honest observations about her crazy (albeit lovable) family and life in general. The story is set in England, yet still feels accessible to American readers. As a school librarian, I take advantage of the summer months to catch up on reading; I usually go straight from the last page of one book to first page of the next in the same day. But after I reached the last page of After Iris, I didn’t want to jump into the next book quite yet; I wanted time to linger in Blue’s world and reflect on her story before moving on to another. After Iris is one of my favorite reads of 2013. * has been separated from a parent due to the parent’s job, a divorce, etc. * Format–Told in diary entries and Blue’s home-movie film transcripts, the story unfolds in an unconventional way. The story’s format will spark good discussion about why the author may have chose to tell Blue’s story in this way. Of particular note is the metaphoric last scene when the camera is turned on Blue for the very first time. * Coping Strategies--Blue not only has to deal with missing her twin sister, Iris, but also with her first broken heart in love and fear of her parents’ divorce. The various ways in which Blue’s family members each deal with Iris’ death also merit discussion and analysis. Oh, to be a ballerina! It’s a challenge for any little girl, but even more so if you happen to be a vampire like Vampirina. First of all, you have to find a class that meets at night. Then you have to figure out how to perfect your form when you can’t see yourself in the mirror? And then there’s wearing pink (not the most flattering of colors if you happen to be undead) and that nagging urge to take a little nip out of the other dancers. And worse of all… STAGE FRIGHT!!! Before Vampirina can host her very first sleepover there are a few things she must keep in mind: be polite and offer her guests food (like blood pudding); plan some games like scavenger hunt (but keep the clues simple so no one gets lost); and don’t forget to dance! Vampirina may be a little nervous at first, but by following a few simple rules she will host the Best Sleepover Ever. I promise you will fall in love with this ballet-loving vampire who just wants to fit in. The Vampirina books are the kind that offer something different each time you read them. My students love Vampirina, and the first read-through with them is always a delight. But the more kids hear or read the book and examine the detail in the illustrations, the more they glean from the story. They always make text-to-self connections about times when they felt different from their peers. In the second Vampirina book, I know my students will make these same types of connections, but this time centered on family. Many of my students are immigrants, and their families bring their own rich and layered cultural traditions with them to this country. Sometimes it makes them stand out from other families, and it can be tricky for a kid to balance their home culture with that of the community in which they now live. I can’t wait to share this new Vampirina book with my students. I asked author and former teacher Anne Marie Pace how her Vampirina books might be used in the classroom. 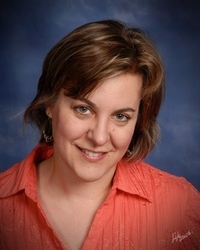 Biblio Links: Welcome, Anne Marie! 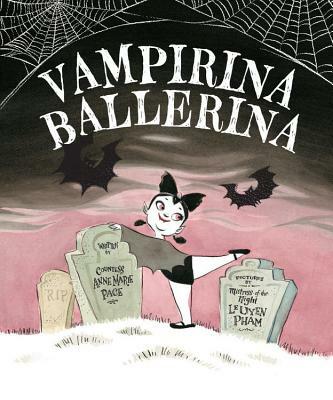 A student walks into my library and I think: THAT kid needs a Vampirina Ballerina book. Who is this child? 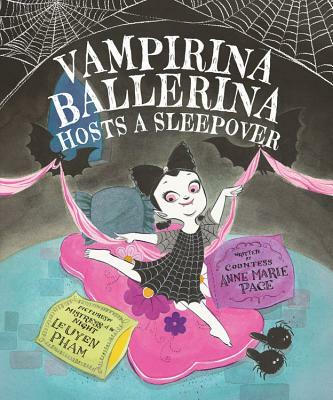 Anne Marie Pace: I can think of several types of kid who might need a Vampirina book. There are certainly people who see a little girl ballerina on the cover and assume it’s meant for small girls who love to dance, and definitely the books work for those girls. In fact, even last year, in the first months after release, I received photographs of more than a few girls who had dressed as Vampirina for Halloween. But surprisingly, when I’ve done school visits, I find that third and fourth grade boys really get the book as a whole. They really appreciate the tiny creepy details that go over younger children’s heads. For an example of what I mean, take a look at the ways in which LeUyen Pham portrays Dame Margot Fonteyn, the famous ballerina, throughout the book. Speaking of tiny details, I’d say a reader who loves examining illustrations closely would also be a great candidate for the Vampirina books because LeUyen Pham includes incredible telling detail throughout. I am still discovering new things. Another reader who might like Vampirina would be a child who feels a little different from his or her peers and needs reassurance that being different is not only a-ok, it’s actually pretty cool. And of course, they’re good for anyone who likes to laugh! Biblio Links: If we were to peek into a classroom where a teacher is using your book in a lesson or with a small group, what might we see or hear? Anne Marie Pace: I hope you’d see a lot of kids laughing! The teacher would have lots to point out to the kids. She could talk about Dame Margot Fonteyn, whose influence figures prominently in Vampirina’s life; and they might discuss how we can look up to role models. They could trace the numerous subplots that are present in the illustrations. And they could move! Because Vampirina is a dancer, she loves movement. There’s also a wonderful teachers’ guide developed by one Natalie Lorenzi. It’s available for download on my website. There are wonderful activities in that guide, from patterning to tooth brushing! Biblio Links: Creating the teacher’s guide for Vampirina was so much fun! The story and illustrations lend themselves so well to activities across the curriculum. With the story’s theme of fitting in, school guidance counselors will want to add these to their shelves, too. Where can teachers, librarians and students learn more about you and your book? 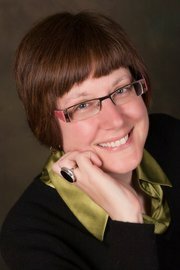 Anne Marie Pace: My website is a starting point: http://www.annemariepace.com. There are also a lot of links on the Vampirina Ballerina Facebook page, at http://www.facebook.com/vampirinaballerina. And Linda Urban did a series of blog posts with both me and LeUyen Pham, the illustrator. Those links are here, here, and here. Biblio Links: Thanks for stopping by, Anne Marie! You can also follow Anne Marie on Twitter: @AnneMariePace. Look for Anne Marie’s other picture books published by Scholastic Book Clubs. Click on either book cover to learn more. The teacher’s guide link to the first Vampirina book is here. 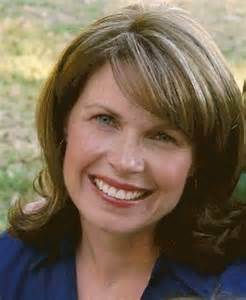 Today Biblio Links welcomes picture book author Laura Murray! Full disclosure: I had the pleasure of creating curriculum guides for each of these delightful books. Both stories are twists on the traditional gingerbread tale. With help from the gym teacher, the nurse, the art teacher and even the principal, the Gingerbread Man does find his class, and he’s assured they’ll never leave him behind again. Teachers often use the Gingerbread Man story to introduce new students to the geography and staff of schools, and this fresh, funny twist on the original can be used all year long. Includes a poster with fun activities! The Gingerbread Man Loose on the Fire Truck: Guess who gets to go along on a field trip to the firehouse? The Gingerbread Man! But when he falls out of his classmate’s pocket, Spot the Dalmatian comes sniffing around. Luckily, this Gingerbread Man is one smart cookie, and he races into the fire truck, up the pole, and all through the station, staying one step ahead of the hungry dog the whole time. “I’ll ride to the rescue, as fast as I can. With snappy rhymes and fresh illustrations, the Gingerbread Man makes a sweet return in his second school adventure. Includes a poster with fire safety tips and activities. I adore both of these books, and so do kids. Laura Murray’s rhyme is spot-on, making it a flowing, fun read-aloud. In both books, the gingerbread man isn’t running away from anyone (well, except for a brief sprint from the fire house Dalmatian)–he’s running to his friends, the kids who made him in their classroom, befriended him, and then lost track of him. Mike Lowery’s illustrations are just as appealing as the text–bright, cheery and comic-book-like with speech bubbles galore. Here’s what Laura had to say about using these fun titles in the classroom. Biblio Links: A student or teacher walks into my library and I think: That person needs a copy of one of Laura Murray’s Gingerbread Man books. Who is this person? Laura Murray: This kid loves adventure and a good giggle, or field trips, fire trucks, and fire fighters. These books are for every kid who ever felt nervous on the first day of school, or who longed to be accepted; who wants to be a helper and a hero, or who likes comic-book/ graphic novel-like pictures.Or possibly a teacher who is looking for a fun way to introduce his/her students to the school and staff – by chasing the Gingerbread man through the school, or who simply wants a fresh, funny take on the traditional story to highlight his/her Holiday unit. Maybe this teacher or librarian wants to complement a fire safety or community helpers unit by giving his/her students an adventurous tour of the fire station (via the GB Man) during October Fire Prevention Week. Biblio Links: If we were to peek into a classroom where a teacher is using one of your books in a lesson or with a small group, what might we see or hear? Laura Murray: Please feel free to visit my website at www.LauraMurrayBooks.com for loads of activities, printouts, and standards /common core-linked teacher’s guides, as well as information about school author presentations.Here’s The Gingerbread Man Loose in the School’s book trailer. Fun just to watch or to practice skills like story prediction, sequencing, compare/contrast, and retelling. Enjoy! Biblio Links: Thanks for joining us, Laura! Read the glowing reviews here and here. There’s a lot packed into these 31 pages–a comic-style layout, sidebars with quick facts about the featured animals, running jokes from the peanut-gallery sports fans and event participants–yet it doesn’t feel too crowded or overwhelming. Even the page set-up is well planned, with a double page spread introducing four animals and their attributes, then asking the reader to guess which of the four would take the gold medal in a particular skill–speed, high jumping, etc. Turn the page to find out the winner and how a human’s performance in the same event would compare. Each animal’s size is taken into consideration, so the winner isn’t always the animal you’d think. For example, the best long-jumper is the Rocket Striped Frog–in proportion to its size, the length of its jump would compare to a human jumping the length of a football field. 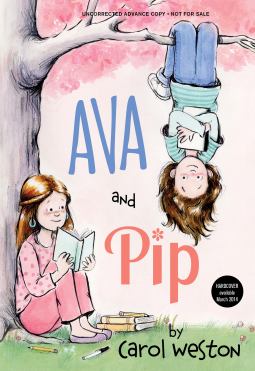 Although the publisher says that this is for readers from ages 4 to 8, I would definitely hand this to older kids who are struggling and/or reluctant readers. Publisher’s description: In this unique facts book, animals compete in sporting events such as high jump, swimming and weight lifting. Readers are encouraged to guess which animal will win before turning the page, while walrus and cockatoo “announcers” provide funny commentary and interesting statistics about the athletes’ amazing abilities. This is a winning format for kids who want to know which animals can be faster, stronger and more powerful, and how humans compare. * Animal Units–All students in the U.S. study animals and habitats at some point during their elementary school years. In addition to the animal facts, there’s also a quick review of habitats around the globe at the start of the book. * Research--This would make a nice springboard for kids’ own animal research projects. Using the same format, students could come up with their own events and animal participants. *Predicting–Children can use their own background knowledge to make predictions at first. Once they’ve caught on that the winners aren’t always the obvious choices, they’ll likely make more thoughtful predictions as they read further. *Proportion–Challenge older kids to calculate how other animals would fare in similar competitions. * Olympics–Display this alongside traditional sports books for a winning Olympic display. Thanks to Anatastia Suen for creating Non-Fiction Mondays, and to Prose and Kahn for hosting today! Click here for more children’s book recommendations that highlight science, technology, engineering and math! Happy Book Birthday tomorrow to Sophie’s Squash! With school starting rather soon-ish, my first thought was to recommend Sophie’s Squash to teachers, librarians and parents as a charming book for autumn. But I hesitate to limit this gem to the “books for fall” shelf. Inspired by Pat’s own squash-loving daughter, Sonia, this lovely story is really about friendship, and is a joy for all seasons. From the publisher’s website: On a trip to the farmers’ market with her parents, Sophie chooses a squash, but instead of letting her mom cook it, she names it Bernice. From then on, Sophie brings Bernice everywhere, despite her parents’ gentle warnings that Bernice will begin to rot. As winter nears, Sophie does start to notice changes…. What’s a girl to do when the squash she loves is in trouble? With absolutely delightful text by Pat Zietlow Miller and downright hilarious illustrations from Anne Wilsdorf, Sophie’s Squash will be a fresh addition to any collection of autumn books. I asked Pat Zietlow Miller how Sophie’s Squash might be used in the classroom. 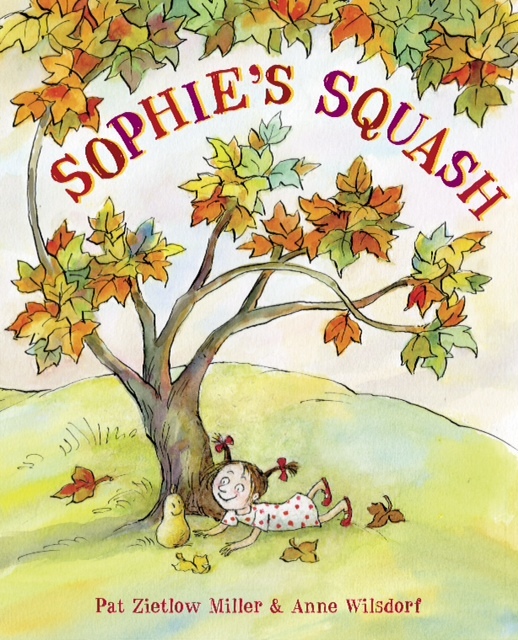 Biblio Links: A student or teacher walks into my library and I think: THAT person needs a copy of Sophie’s Squash. Who is this kid or teacher? Pat Zietlow Miller: The kid would be any preschool through second-grade kid carrying a stuffed animal, a pet rock or a blanket that has been loved into oblivion. Or a kid with one best friend he or she does everything with. Those kids would totally understand why Sophie loves Bernice. The teacher could be a teacher looking to talk about friendship with her class. Or loss. Or a teacher who’s just looking for a new fall book. Or maybe a teacher who’s about to take his or her class on a field trip to a farmers’ market. Pat Zietlow Miller: Well, in a perfect world, I’d love to peek into a classroom and see all the kids happily decorating squash of their own so they would have new friends. This would be after the teacher had read the book to them and talked about what a good friend is, how you know when you’ve found one and how you can be a good friend to others. Biblio Links: I’d also add that this book is a natural pick for school guidance counselors. In addition to the topic of friendship, Sophie’s Squash is the perfect springboard for discussions on loss–of pets, friends who move away, loved ones. etc. Pat Zietlow Miller: My main website is www.patzietlowmiller.com. Biblio Links: Thanks for stopping by, Pat! You can also follow Pat on Twitter: @PatZMiller. And the titles on her Pinterest board? They’d all make nice pairings with Sophie’s Squash for lessons on making text-to-text connections. Look for Pat’s upcoming books in 2015: Sharing the Bread, a Thanksgiving book from Schwartz and Wade, and The Quickest Kid in Clarksville, inspired by Olympic sprinter Wilma Rudolph, from Chronicle Books.